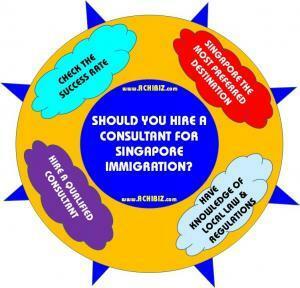 HomeRelocationShould You Hire a Consultant for Singapore Immigration? In Southeast Asia, Singapore has become the most preferred destination for people who wish to upgrade their career and settle over there. Since the country has crafted immigration policies, it does attract skilled professionals and entrepreneurs from all over the world to come and try their luck over there. Everyone who plans to migrate to Singapore is in a search of better lifestyle, financial stability and a better living. Check whether the consultant is qualified and experienced enough to help you through the process. Be cautious while dealing with consultants who have not registered themselves and are operating as illegal consultants. Avoid such kind of consultants. Can the Consultant Communicate in the Local Language? Experienced consultants are found to be very good conversationalists and have impeccable communication skills. If you happen to move to a different country, it is really good to hire a consultant who can communicate in the local dialect to connect with the foreign authorities of a particular country. The perfect way to shortlist an experienced consultant from a swarm of consultants available in your region is by checking their success rates. Once you are aware of the success rates, you can be calm and composed throughout the process, knowing that you have come to the right place for processing your application. An immigration consultant with extensive experience in sending out their clients to their desired destination will definitely know how to present your details such that you can easily immigrate to Singapore without a lot of efforts. Once you are sure that the consultant is efficient enough, you need not have second thoughts about going ahead with hiring them and getting through with your immigration process.